Colorful landscapes are found across Mexico from houses and apartment buildings to restaurants and tire shops. In Mexico, cityscapes are known for their colors. 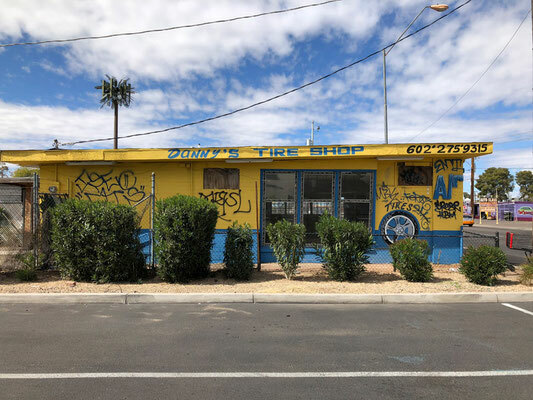 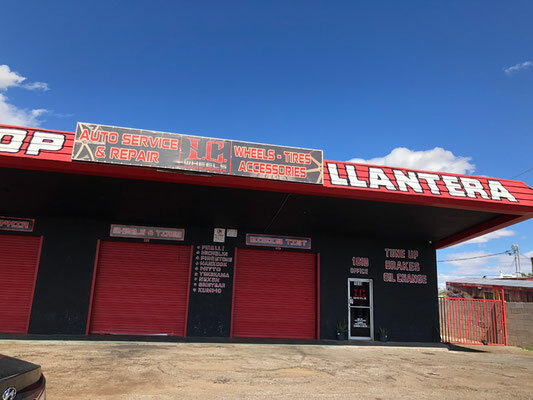 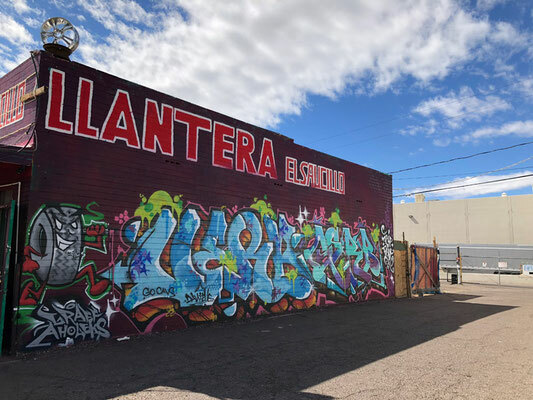 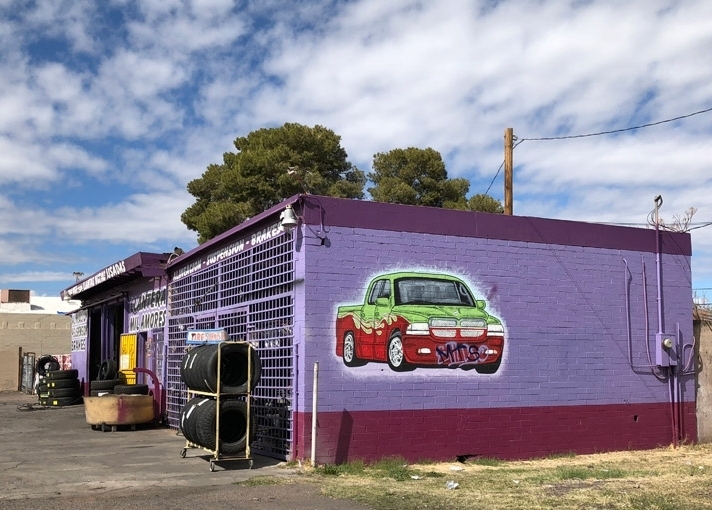 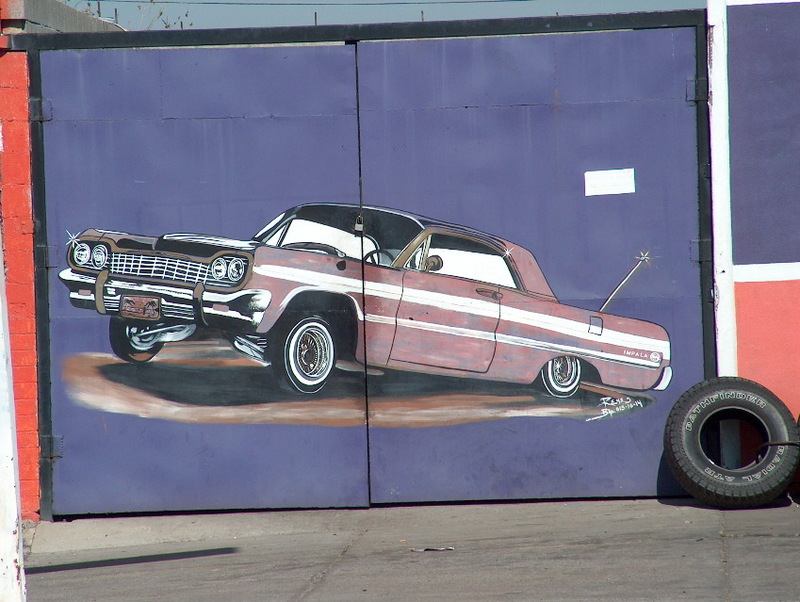 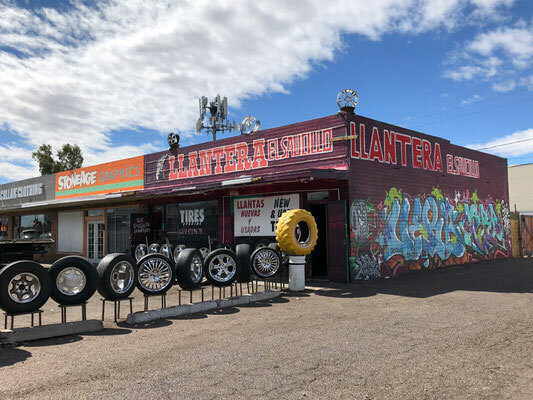 Mexican immigrants bring their vibrant and colorful culture to the state of Arizona in many ways, however, the sparkling colors are particularly found painted across Mexican-run tire shops, or llanteras, in the metro Phoenix area. 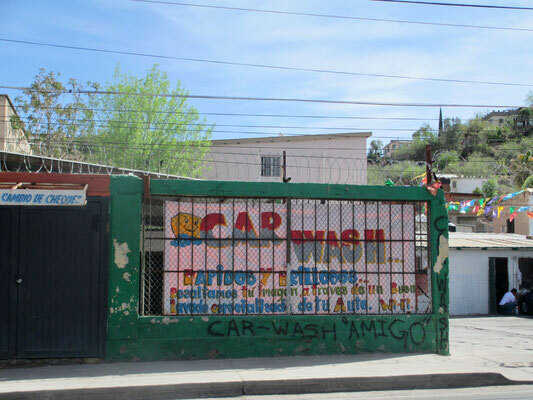 Colorful car wash on International Street, Nogales, Mexico, photo taken on my fieldtrip there 4/4/18. 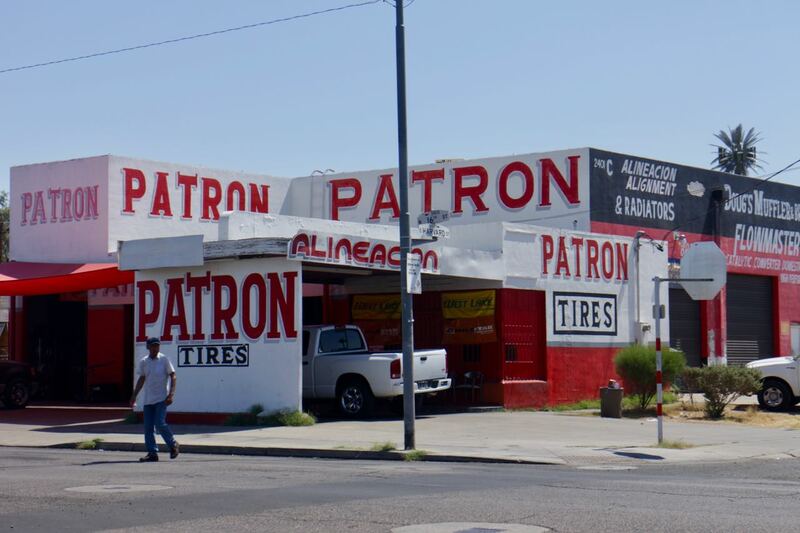 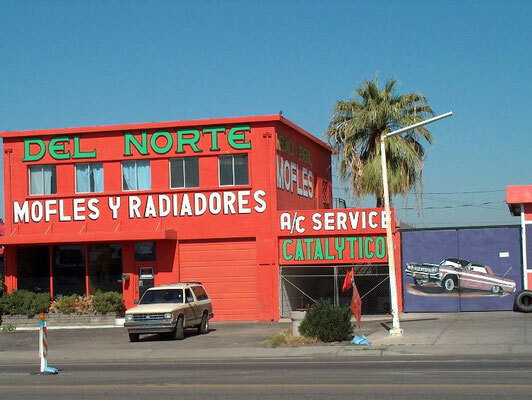 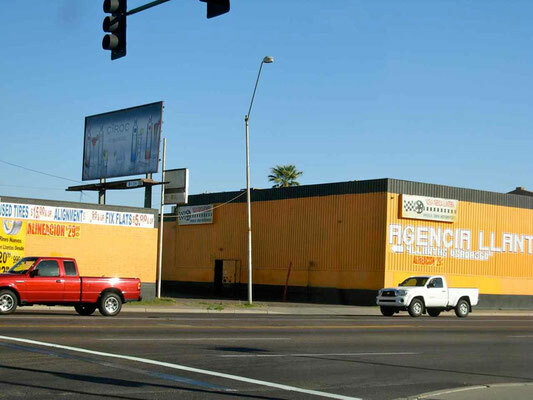 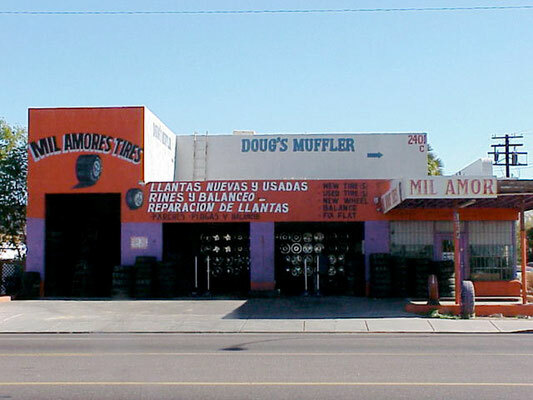 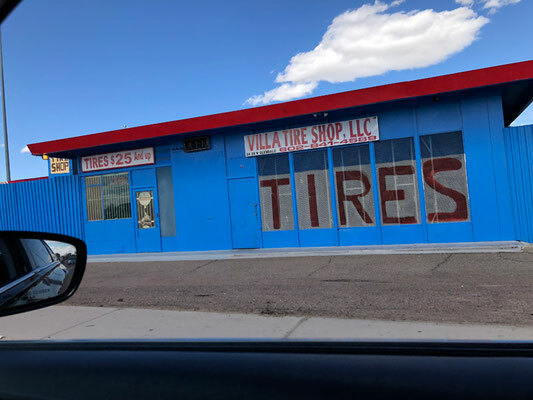 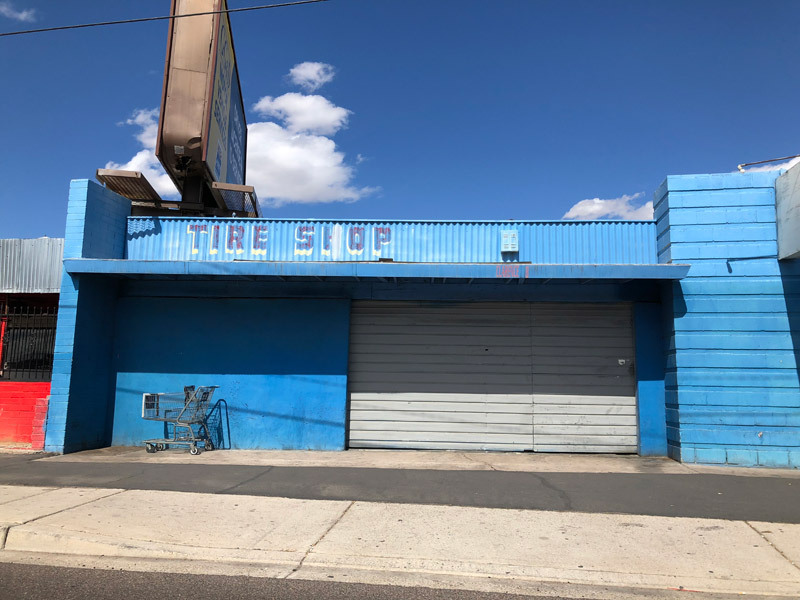 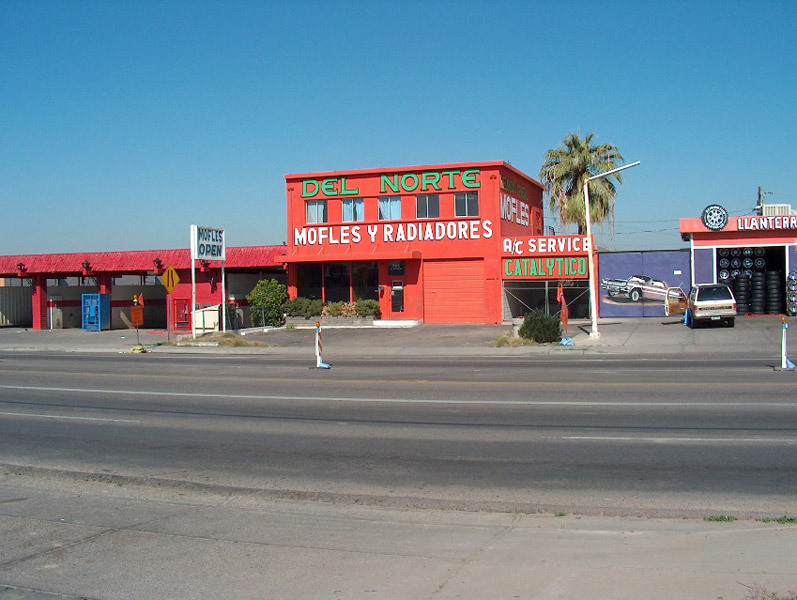 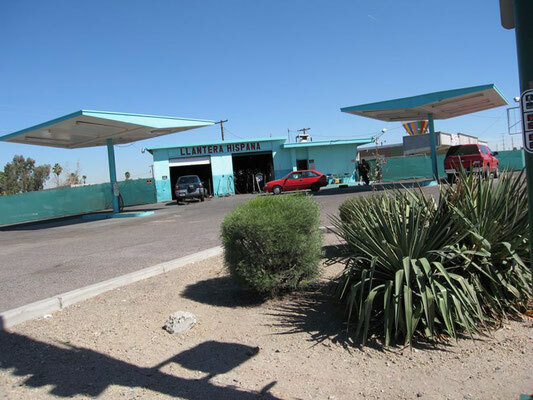 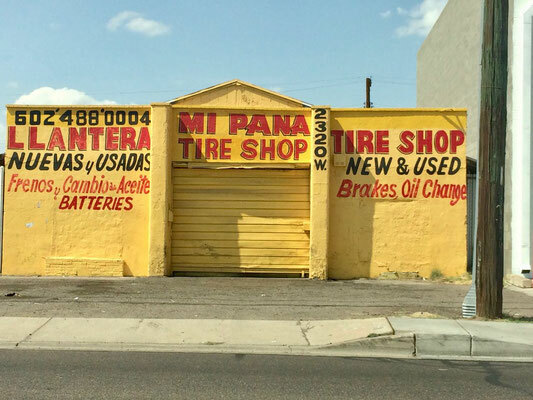 For the Mexican community in metro Phoenix, these tire shops represent a connection to their homeland. 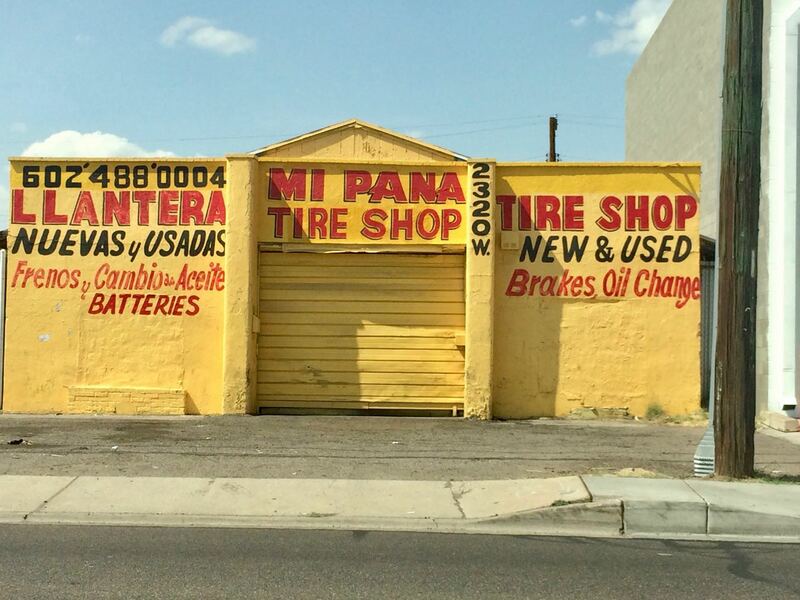 First, the name of the shop is usually written in Spanish. 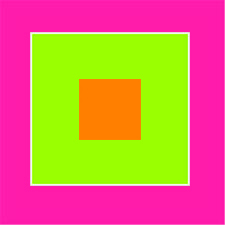 Second, the shops bring colorful cityscapes to the community. Third, the shops provide a welcoming service to their clients. 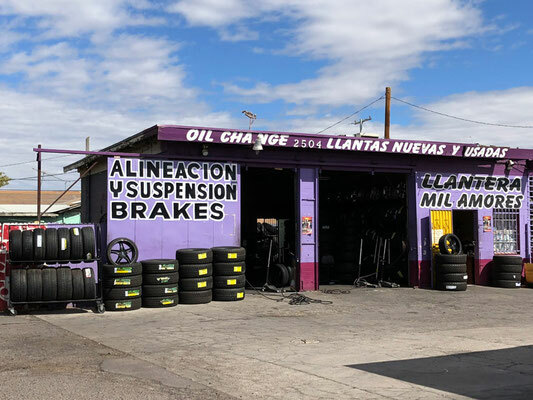 The clientele at these tire shops is largely of Mexican or Latino descent, often from a family of first or second-generation immigrants. In my walk along McDowell Road from 24th Street to 32nd Street I noticed that the language spoken at these tire shops is Spanish. 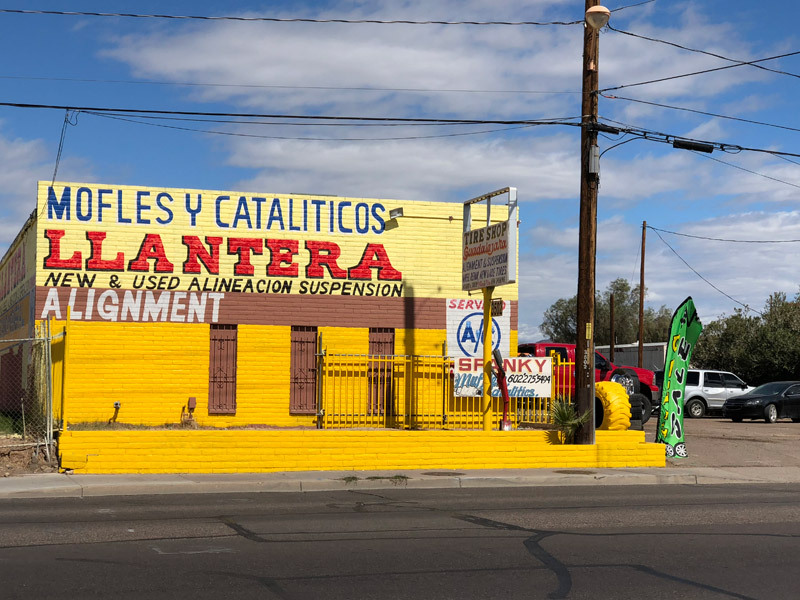 Census data shows that the neighborhoods along this stretch of McDowell contain over 40% immigrants and over 80% Latinos. 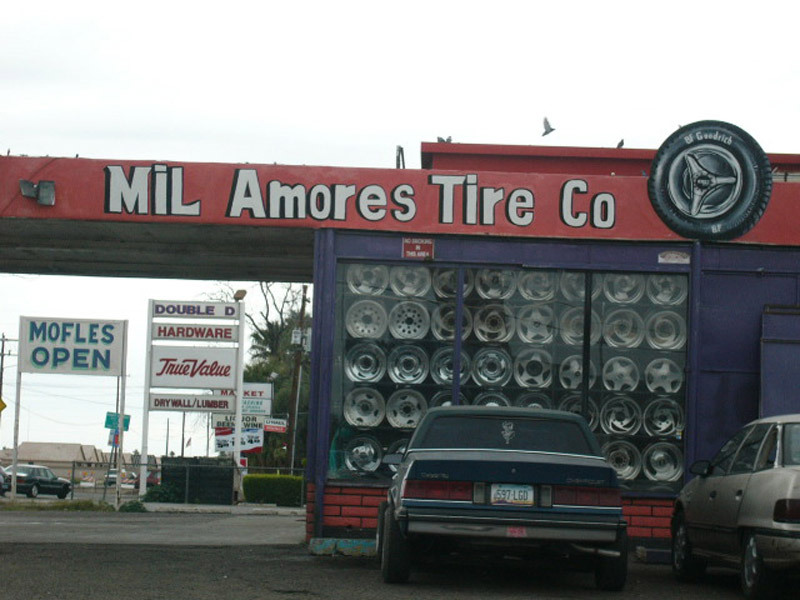 In his own words, Miguel said “Mexicans come here a lot for tires, the service is nice, and most people are from back home”.